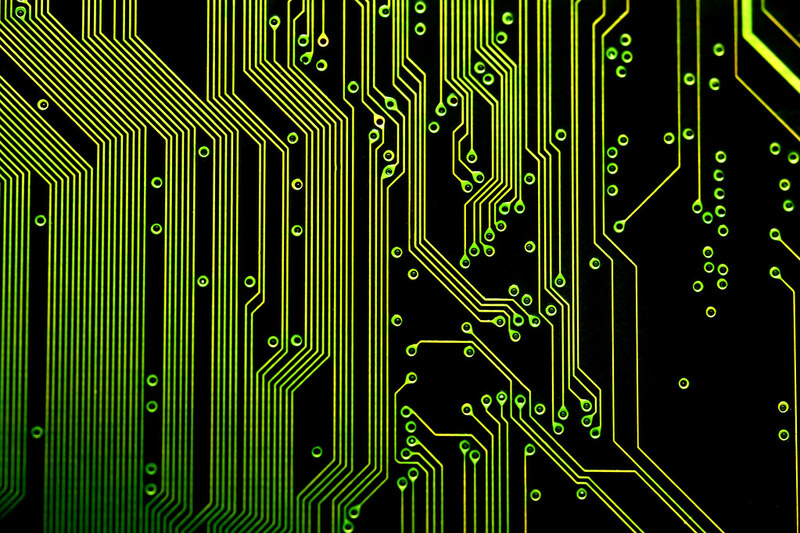 Common silicon electronic circuit board. The switches in most electronic circuits are made of silicon, one of the commonest elements. But their successors might contain materials that, for now, are lab-grown oddities: strongly correlated metal oxides. The allure of these materials lies in the outer shells of electrons surrounding their metal atoms. The shells are incomplete, leaving the electrons free to participate in coordinated quantum-mechanical behavior. In some materials, electrons pair up to produce super­conductivity, or coordinate their spins to produce magnetism. Other materials can switch from being an insulator to a conductor. Unlike transitions to superconductivity, which happen as temperatures approach absolute zero, the insulating-to-conducting transition typically happens as temperature increases, and sometimes occurs near room temperature. That has raised hopes that metal oxides could be used instead of silicon to make transistors. A spate of results is now making that look feasible. “People are interested in seeing if oxides can make it to applications,” says Manuel Bibes, a physicist at the Joint Physics Unit in Palaiseau, France, which is run by the French National Research Center and electronics company Thales. Metal oxide transistors have the potential to consume less power than silicon switches, because the phase transition frees electrons from their localized state near each atom, without moving them through the bulk material. By contrast, silicon switches work by pulling electrons through the material to a channel where they conduct current (see ‘Go with the flow’). Read more: Metal Oxide Chips Show Promise as Transistors: Scientific American. Scientists investigating icy volcanoes on Earth have uncovered clues that could help us to find signs of life on Mars. 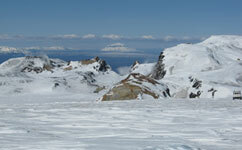 Heat, water and minerals combine on ice-covered volcanoes to sustain tiny, basic forms of life. Scientists hope that, by creating detailed descriptions of the rocks and chemistry of these icy volcanos on Earth, they will be able to detect similar environments on the Red Planet. ‘These environments are fascinating because they exist in such a primitive setting,’ says Dr Claire Cousins of University College London, the study’s lead author. Cousins and her team explored the Askja and Kverkfjoll volcanos in central Iceland, finding an incredibly diverse range of minerals over just a few square kilometres. If they could find the same mineral patterns on the surface of Mars, it could point to life-supporting environments that existed there in the past. Finding traces of those environments on Mars will be no easy task, but Cousins believes that new technology could hold the key to unlocking the secrets of Martian history. Read more: Icy volcanoes offer clues for life on Mars — Planet Earth Online. Computers and smartphones have spoiled us: The rate of progress in electric car technology might not seem very fast in comparison, but it’s steadily pushing us toward EVs that are affordable and have enough range for the vast majority of drivers. And while it’s always going to be better to walk, bike, or take transit than drive, as long as there are cars out there, they might as well be electric and powered by clean electricity sources (cleaning up the grid is also a priority!). The latest bit of promising news comes from Dan Akerson, GM’s CEO. During his speech at the IHS CERAWeek energy conference, he said that his company is developing a car that could have a range of 200 miles (322 kilometers). Read more: GM working on electric car with 200 miles range, says CEO : TreeHugger. Assistant Professor Sangbae Kim works on the 70-pound ‘cheetah’ robot designed at MIT. A 70-pound “cheetah” robot designed by MIT researchers may soon outpace its animal counterparts in running efficiency: In treadmill tests, the researchers have found that the robot—about the size and weight of an actual cheetah—wastes very little energy as it trots continuously for up to an hour and a half at 5 mph. The key to the robot’s streamlined stride: lightweight electric motors, set into its shoulders, that produce high torque with very little heat wasted. The motors can be programmed to quickly adjust the robot’s leg stiffness and damping ratio—or cushioning—in response to outside forces such as a push, or a change in terrain. The researchers will present the efficiency results and design principles for their electric motor at the International Conference on Robotics and Automation in May. Sangbae Kim, the Esther and Harold E. Edgerton Assistant Professor in MIT’s Department of Mechanical Engineering, says achieving energy-efficiency in legged robots has proven extremely difficult. Robots such as Boston Dynamic’s “Big Dog” carry heavy gasoline engines and hydraulic transmissions, while other electrically powered robots require large battery packs, gears, force sensors and springs to coordinate the joints in a robot’s leg. All this weighty machinery can add up to significant wasted energy, particularly when a robot’s legs need to make frequent contact with the ground in order to trot or gallop. Kim adds that part of the challenge in powering running machines with electric motors is that such robots require a flexible response upon impact, and high power, torque and efficiency—characteristics that have historically been difficult to achieve with electric motors. To understand how an electrically powered system might waste little energy while running, the researchers first looked at general sources of energy loss in running robots. They found that most wasted energy comes from three sources: heat given off by a motor; energy dissipated through mechanical transmission, such as losses to friction through multiple gear trains; and inefficient control, such as energy lost through a heavy-footed step, as opposed to a smoother and more gentle gait. The group then came up with design principles to minimize such energy waste. To combat heat loss from motors, the group proposed a high-torque-density motor—a motor that produces a significant amount of torque at a given weight and heat production. The team analyzed the relationship between motor size and torque, and designed custom motors that exceed the torque performance of commercially available electric motors. Read more: 'Cheetah' robot rivals running animals in efficiency (w/ video) — phys.org. If it looks like a Higgs, acts like a Higgs, and decays like a Higgs, it’s probably a Higgs. That’s essentially the news from the physicists at Switzerland’s Large Hadron Collider (LHC) who found a new particle last summer. So far, all evidence points to the conclusion that the particle is the long-sought Higgs boson, which would explain how other particles get their mass. Still, the case isn’t closed on the new particle just yet. For now, all scientists can say is that the particle, which was found by two experiments at the LHC called ATLAS and CMS, is consistent with predictions for the Higgs. “Both the CMS and ATLAS experiments presented their latest updates, and no matter the angle studied, the new boson is still perfectly compatible with being a Higgs boson,” LHC physicist Pauline Gagnon wrote on the blog Quantum Diaries. Read more: Newfound Particle Still Looks Like a Higgs Boson | LiveScience.